We’d love your help. Let us know what’s wrong with this preview of What Happened In Dingle by Fiona Cooke Hogan. 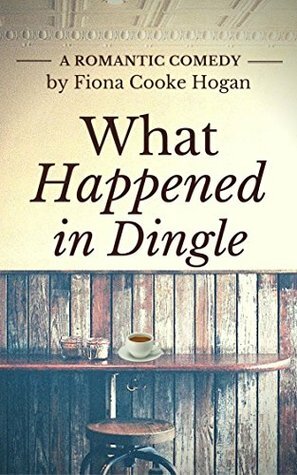 To ask other readers questions about What Happened In Dingle, please sign up. Fiona Cooke Hogan weaves a realistic story about Ruth and Neil, a forty-something couple who honeymooned in Dingle, and return to celebrate their twentieth wedding anniversary. Over the years, resentments and recriminations rust their marriage. Then, a spat serves as a catalyst for things to happen in Dingle. What Happened in Dingle by Fiona Cooke Hogan - a lovely story about the ups and downs of relationships. Interspersed with humour such as an incident of impending doom followed by "could we get out and video it? ", I appreciated the internal banter we all go through particularly when we do something out of character. A perfect weekend read. Well, that would be telling, wouldn't it! Loved it - more please!